There’s new public art on the Purdue campus. 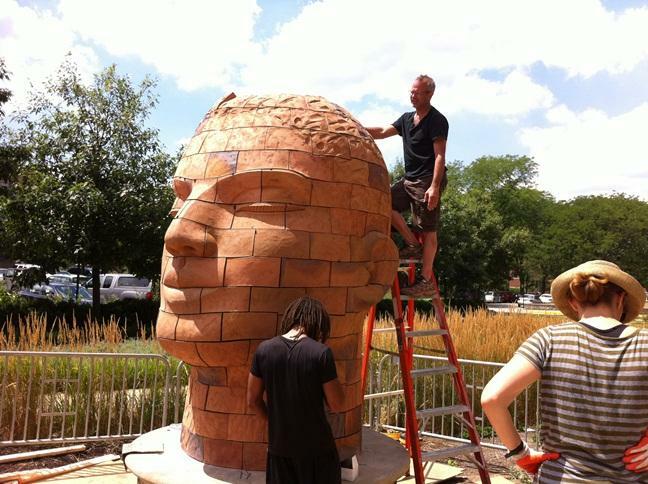 It’s called “Brickhead Conversations” featuring two large heads of clay – each sitting on one side of the Pao Hall plaza. James Tyler stands on a ladder to put the final pieces of the head, which sits on the west side of the Pao Hall plaza. 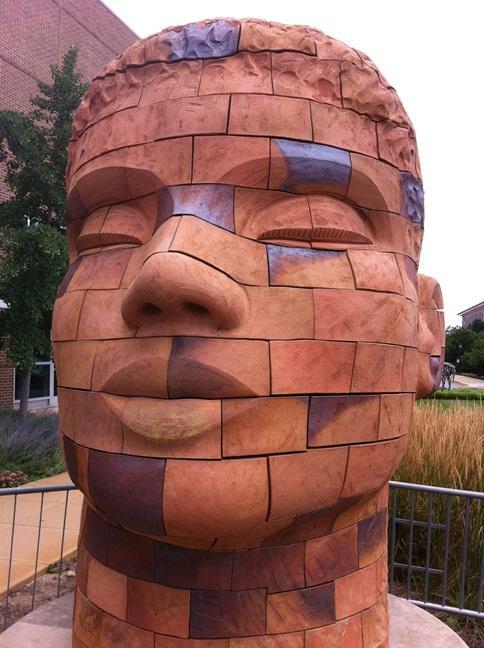 Sculptor James Tyler created the pieces, which feature sounds of nature emanating from each head. He sculpted about 8,000 pounds of clay for each head before cutting them into bricks. That was done in his warehouse studio north of New York City. The head on the east side of the Pao Hall plaza. Speakers inside play the nature sounds recorded by Bryan Pijanowski, a professor of forestry and natural resources at Purdue. Tyler says they worked together to find interesting recordings from the area. You can see a video of the early work Tyler did on “Brickhead Conversations” HERE. Sounds of nature heard from the "Brickhead Conversations" artwork.